Supporting the Health Fair at Hershey’s Mill! 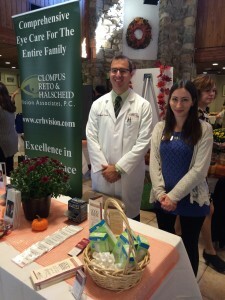 Dr. Ben Foreman and Jackie DiPasquale represented our practice at the Health Fair at Hershey’s Mill in early October. We appreciated the opportunity to attend the Health Fair, and enjoyed meeting many of the residents of this beautiful, local community. Dr. Ben Foreman and Jackie DiPasquale representing our practice while supporting the Health Fair at the Hershey’s Mill community center (October 2015).